March 17, 2016, 9 a.m.
By Joseph Lichterman @ylichterman March 17, 2016, 9 a.m. 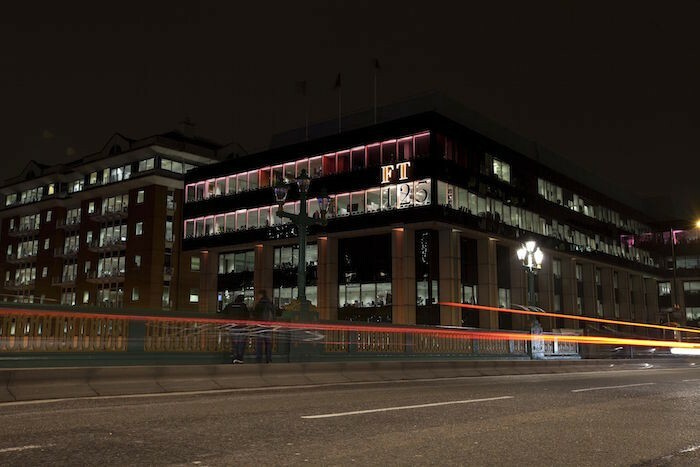 The Financial Times on Thursday launched a new newsroom analytics tool that’s meant to make audience data more accessible to its journalists. The tool, called Lantern, is an attempt to help the FT’s newsroom better understand metrics beyond pageviews and also help them figure out what types of stories are resonating with its readership as the paper focuses on growing its audience. “This tool and the functionalities we’ve structured into it are very much trying to…translate into journalese, into newsroom vernacular, all of the metrics of engagement, all of the metrics that show not only how a story is doing in terms of the more traditional pageview performance, but also how our audience is integrating, reacting, and interacting with it to give a much more holistic picture of what is in fact a successful story,” said Renée Kaplan, who joined the FT last year as its first head of audience engagement. FT journalists will be able to access standard information such as average time on page, retention rate, scroll rate, social performance, and what type of devices readers are coming from. Lantern will also feature more FT-specific data such as the breakdown between subscribers and non-subscribers who are accessing a particular story. The audience engagement team will also be able to provide staffers with information relevant to their specific beats. 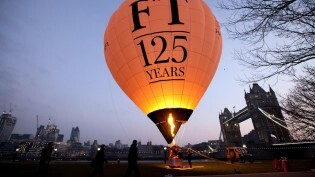 Lantern was built on top of the FT’s existing data infrastructure and much of the information it’s showcasing has long been used by FT’s business operations to help drive subscriptions and ad sales — last year, for example, the paper introduced cost-per-hour advertising, which sells ads based on the amount of time ads are shown to visitors. The FT was one of the first news organizations to have success with a metered paywall, but last year it tweaked its model to offer new subscribers a $1 month-long paid trial. In July, Ken Doctor wrote that 70 percent of the FT’s paying audience is made up of digital subscribers, and more than 40 percent of the paper’s revenue comes from digital. 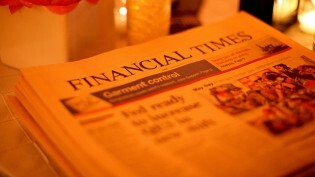 While Kaplan’s audience engagement team is based in the newsroom, increased use of editorial analytics will help the editorial and business sides of the FT understand each other better and work more closely toward building a sustainable future for the paper, Tom Betts, the FT’s chief data officer said. The FT is far from the only outlet to highlight its use of newsroom analytics, The Guardian released its own analytics tool in 2011, NPR did the same in 2014, and just Wednesday The Wall Street Journal reported that CNN plans to build out a 30-person team that’ll use data for audience development. Though Kaplan and Betts stressed that the data will not usurp editorial decisions, Kaplan said she could imagine the paper using information gleaned from Lantern to target readers who aren’t yet FT subscribers. The dashboard breaks down a story’s audience by whether they are logged in to the site or not and it can also show whether the users that aren’t logged in to the site are first-time or returning visitors. Lantern is actually the FT’s third attempt at launching a newsroom analytics tool. Betts said the paper first introduced a dashboard five years ago that was mostly aimed at senior editors. 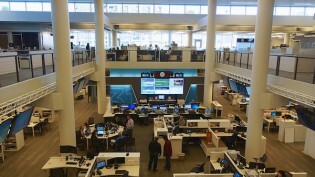 About two years ago, the FT built a dashboard called Bettsy that was open to the entire newsroom, but it was not commonly used because it “hadn’t necessarily been thought of from the journalist’s perspective,” Kaplan said. It’s of course still too soon to know whether Lantern will catch on with the FT’s newsroom, but Kaplan and Betts said development of the dashboard was a cross-company effort, with journalists involved throughout the process so developers could understand what they’d want from an analytics product. Kaplan said they received feedback from staffers on everything from the types of metrics they’d find useful to which colors they should used in the dashboard. The hope is that staffers will use this information to optimize things such as publishing times, story formats, or how even a story is presented for different regions around the world. “As a journalist, I can literally see, in real time, the kind of adjustments I might want to make depending on the audience I’m trying to target because I can really get this pretty clear information that are really good proxies of who and where is my audience, and how are they engaging with my story,” Kaplan said. So, for example, if staffers notice that most of a story’s traffic is coming from mobile and that readers are on average scrolling through 85 percent of the story, they may want to replicate that story’s design in future coverage and begin to think more about about how stories are presented on mobile. Kaplan emphasized that this is just the first iteration of Lantern, and the FT plans to continue to tweak it and add new features as they’re warranted. And as the FT’s journalism continues to appear in more distributed platforms — it’s on Apple News, Google AMP, and coming soon to Facebook Instant Articles — the data team will be able to incorporate information from those platforms into its analyses, Betts said. 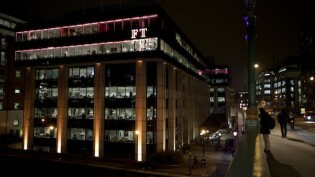 Photo of the Financial Times’ London headquarters by the FT used under a Creative Commons license. POSTED March 17, 2016, 9 a.m.
Lichterman, Joseph. "The FT is launching a new analytics tool to make metrics more understandable for its newsroom." Nieman Journalism Lab. Nieman Foundation for Journalism at Harvard, 17 Mar. 2016. Web. 18 Apr. 2019. Lichterman, Joseph. "The FT is launching a new analytics tool to make metrics more understandable for its newsroom." Nieman Journalism Lab. Last modified March 17, 2016. Accessed April 18, 2019. https://www.niemanlab.org/2016/03/the-ft-is-launching-a-new-analytics-tool-to-make-metrics-more-understandable-for-its-newsroom/.